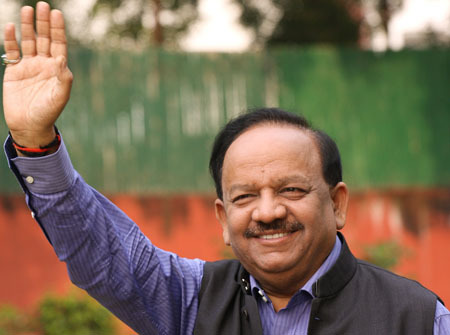 New Delhi, Feb 19 : BJP leader Harsh Vardhan was Tuesday appointed chief of the party's Delhi unit, replacing Vijay Goel. The appointment was made by Bharatiya Janata Party (BJP) president Rajnath Singh, after he accepted the resignation of Goel, who was elected to the Rajya Sabha from Rajasthan. "Party president Rajnath Singh has appointed senior leader Harsh Vardhan as president of Delhi BJP with immediate effect," a party statement said.